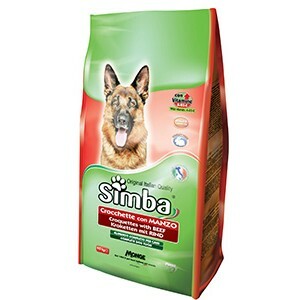 For dogs of medium and large breeds. 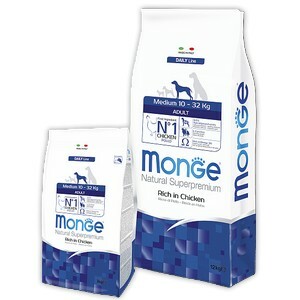 Contains vitamins, microelements, omega-3 and omega-6 necessary for adequate development of animals. 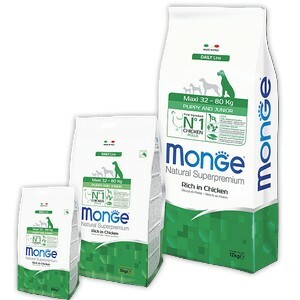 Complete food for dogs with vitamins A-D3-E that promote the health and well-being of the animal. Protein intake is guaranteed by the presence of chicken meat. 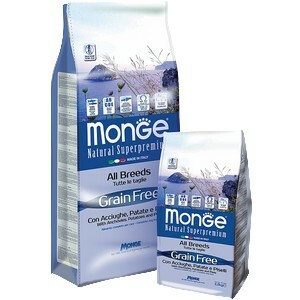 Complete food for dogs with vitamins A-D3-E that promote the health and well-being of the animal. Protein intake is guaranteed by the presence of beef meat. 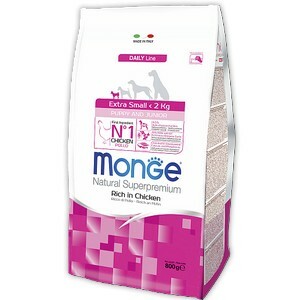 Complete food for adult dogs with chicken and rice. 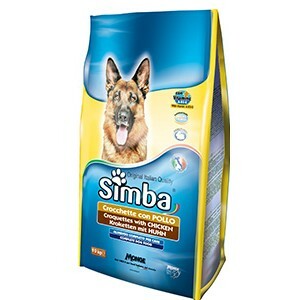 Complete food for adult dogs with Lamb and rice. 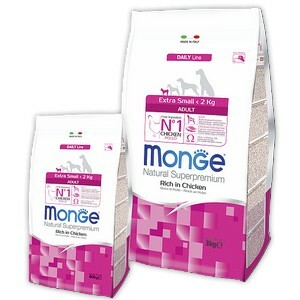 Complete food for puppies and juniors of small breeds with Tuna and rice. 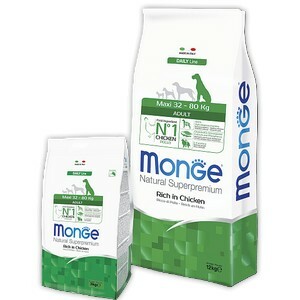 Grain Free super premium food for adult dogs of all breeds with anchovies (fish), potatoes and peas. 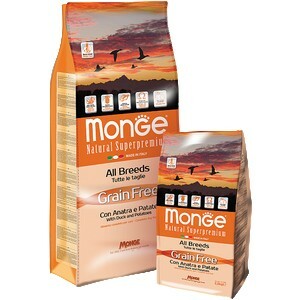 Grain Free super premium food for adult dogs of all breeds with duck and potatoes. Complete super premium food for Puppes & Juniors of extra small breeds. 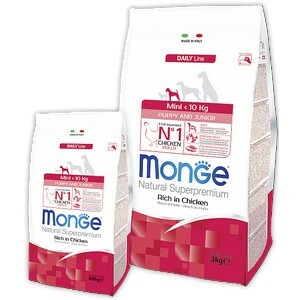 Complete super premium food for adult dogs of extra small breeds. 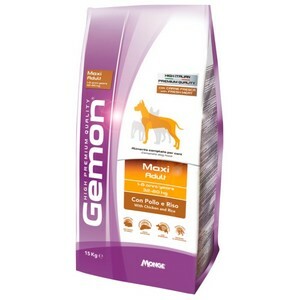 Complete super premium food for adult dogs of large breeds. 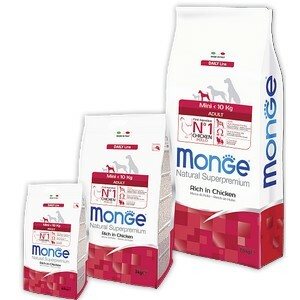 Complete super premium food for puppies and juniors of large breeds. 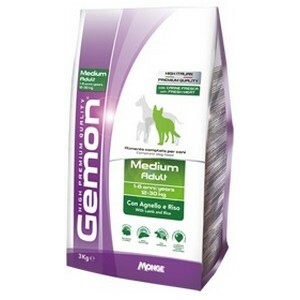 Complete super premium food for adult dogs of medium breeds. 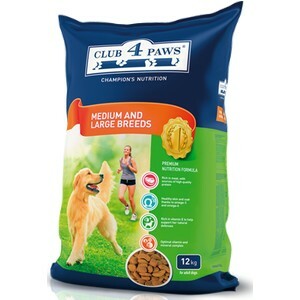 Complete super premium food for puppies and juniors of medium breeds. 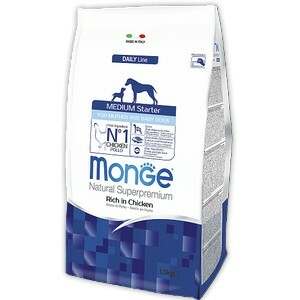 Complete super premium food for medium size breed's newborn puppies and their mother. 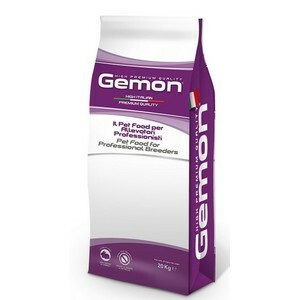 Complete super premium food for adult dogs of small breeds. 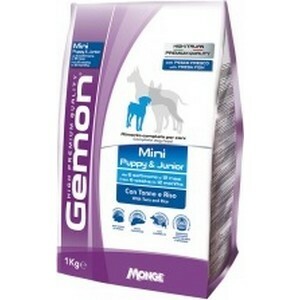 Complete super premium food for puppies and juniors of small breeds.